This talk will use the life of Vera Figner, a Russian noblewoman who became a revolutionary terrorist, as a historical lens through which to explore political activism and radicalism in late nineteenth and early twentieth century Russia. As a leading member of a radical group widely considered to be the world’s first modern terrorist organization, Vera Figner’s biography provides great insight into the circumstances and choices that impel otherwise peaceful individuals to embrace violence as a method of protest. The lecture will follow Figner through the revolutionary underground, prison, exile and the Russian Revolutions of 1917 in order to analyze and assess the role that gender, class, personality and historical timing played in Figner’s decision to become a radical activist, her experiences within the revolutionary movement and her subsequent status as an icon of the revolution in Soviet Russia. We invite you to enhance your enjoyment and understanding of Dr. Hartnett’s scholarship by exploring library resources listed below, selected and annotated by Jutta Seibert, team leader for Academic Integration and subject librarian for History. Figner, Vera. Memoirs of a Revolutionist. DeKalb: Northern Illinois University Press, 1991.This is Figner’s autobiography written during her twenty-two years of incarceration and published soon after her release. Hartnett, Lynne A. 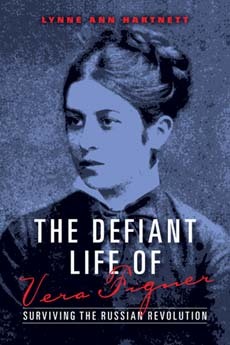 “Perpetual Exile: The Dynamics of Gender, Protest, and Violence in the Revolutionary Life of Vera Figner (1852-1917).” PhD diss., Boston College, 2000. ProQuest (AAT9961602). Dr. Hartnett’s dissertation is available online for Villanova students, faculty and staff. Burwood, Linnea G. “Figner, Vera (1852–1942).” In Women in World History: A Biographical Encyclopedia edited by Anne Commire. Vol. 5. Detroit: Yorkin Publications, 2002. Marik, Soma. “Women in the Russian Revolution.” In The International Encyclopedia of Revolution and Protest edited by Immanuel Ness. Blackwell Publishing, 2009. Millar, James R. Ed. The Encyclopedia of Russian History. New York: Macmillan, 2004. Perrie, Maureen, D. C. B Lieven, and Ronald Grigor Suny. The Cambridge History of Russia. Vol. 3. New York: Cambridge University Press, 2006. McDermid, Jane., and Anna Hillyar. Midwives of the Revolution: Female Bolsheviks and Women Workers in 1917. Athens: Ohio University Press, 1999. Hillyar, Anna, and Jane McDermid. Revolutionary Women in Russia, 1870-1917: A Study in Collective Biography. Manchester : New York: Manchester University Press, 2000. Engel, Barbara A. and Clifford N. Rosenthal. Five Sisters: Women against the Tsar: The Memoirs of Five Young Anarchist Women of the 1870’s. Boston: Allen & Unwin, 1987. Maxwell, Margaret. Narodniki Women: Russian Women Who Sacrificed Themselves for the Dream of Freedom. New York: Pergamon Press, 1990. Kennan, George. “Who are Russia’s Real Revolutionists? A Reply to a Letter from a Friend of the Bolsheviki.” Outlook, December 19, 1917, 638-39. Read the 1927 book review of Figner’s autobiography in the New York Times. “Memoirs of a Revolutionist.” New York Times, June 19, 1927, BR2. Ralston, W. R. S. “Russian Revolutionary Literature.” The Nineteenth Century: A Monthly Review 1, no. 3 (1877), 397-416. Links and resources prepared by Jutta Seibert, team leader for Academic Integration and subject librarian for History. 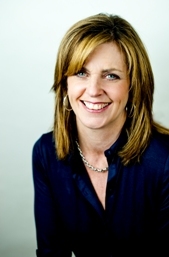 Introductory article by Regina Duffy, Scholarly Outreach event coordinator. Our Dig Deeper series features links to Falvey Memorial Library resources curated and provided by a librarian specializing in the subject, to allow you to enhance your knowledge and enjoyment of seasonal occasions and events held here at the Library. Don’t hesitate to ‘ask us!’ if you’d like to take the excavation even further. And visit our Events listings for more exciting upcoming speakers, lectures and workshops!